Halfbakery: Halfbakery Member Approximate Visage Yearbook or What Do You Look Like Approximately? Halfbakery Member Approximate Visage Yearbook or What Do You Look Like Approximately? For instance, "Brad Pitt" = .001% A Halfbakery Sort-of-Yearbook. I recent HB "discussion" that had gotten rather heated turned from the subject matter at hand to discussing the apparent mental retardation of the poster. This in turn led to the poster countering the claims of his stupidity with counter claims that the other party was ugly. All parties eventually agreed that the opposing party in the discussion was both stupid AND ugly. This is all well and good since discussion from different points of view are how we all learn about the world around us. But to the question of who's the ugliest, most people in their right mind wouldn't post a picture of themselves on an anonymous forum such as this, yet it's a burning question that begs to be answered. I propose using the website "Celebslikeme.com" (not affiliated in any way) or similar website to upload a picture of yourself and put what your closest celebrity lookalike is with the percentage match number on your profile. Mine's some guy named Carmine Giovinazzo, 67%, (never heard of him) the one where he's in the tank top. Oddly enough the other pictures of him don't look like me at all, just that one. I'm in better shape too. He's kind of wimpy. So if you want to make a dartboard of doctorremulac3, that picture is reasonably close. Using this or a similar website and posting: Angela Joli = 55%, or whatever you came up with would give people a good enough idea of what you look like while retaining your anonymity. Even if you don't post the results, it's kind of fun anyway. I like to think I look a bit like Paul Gross, but probably more resemble Adam Sandler having a bad hair day. looking at that picture of Carmine Giovinazzo... is that the guy from CSI:something? My recognition of celebrities is pretty poor, so I'm pretty chuffed when I recognise someone. 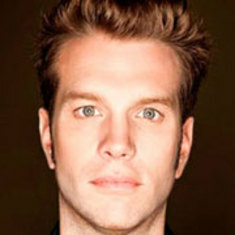 Also I don't think your plan works for people who actually are ugly - I scored 48% like Anthony Jeselnik, and to be honest there isn't much we have in common apart from number of eyes &c.
I'm not posting a link to the photos because if they ever get wind of this they might sue for defamation. ...And that's with my best ever photo, from some years ago. OK, so it was a low-res copy - I should try it with the original, but it's going to be a couple of days. We're all beautiful inside bro. Except for the guts and gross parts. Maybe the inclusion of household appliances and garden vegetables would provide a more accurate depiction. Ran a few photos and the names that kept coming up were John Corbett and Max Martini with 50-60%. Not completely accurate, but a pretty accurate representation of me before and after a shave. Why settle for one celeb ? Surely its possible to blend/morph 2 or 3 pics to give a very accurate composite. That's actually a sort of interesting idea. Some hotshot programming wizard could take your face and determine which famous faces need to be combined in what percentage to make your face. So somebody might be 20% Greta Garbo, 30% Laura Bush, 10% Godzilla, 40% Sponge. This gives me an idea for an art project. As anybody ever morphed the main players in turning points in history? So for the 40s you'd have FDR, Stalin, Churchill, Hirohito and (ugh, I'm getting sick of typing this name on this website) Hitler. For the 20s you'd have Baby Face Nelson, Al Capone, Elliot Ness, etc. I'm a mashup of Jim Carrey, Harry Caray, Mariah Carey, Drew Carey, Carrie Underwood, and a carrot. Oh, and Carrie, the horror film. 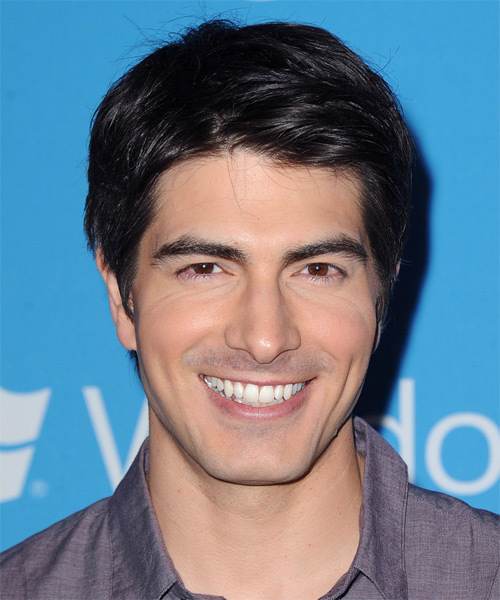 First attempt came up Brandon Routh (48%), Christopher Reeves (43%)... had my hopes up. Then it turned (another picture) to "Pistol Pete" Maravich (41%, bonus points for the floppy socks) and Sosie Bacon (41%, penalty points for insulting her with the gender mismatch). Well, whatever has your highest match percentage, that's your "sort-of-yearbook picture". Those are all ok looking guys. I guess. Not much of a judge. All guys look kind of ugly to me. Although to be fair, chicks do cheat with makeup. Hmmm, "Call for A-list" ... ? Not sure about celebslikeme. I just tried it with and without glasses and with my face at different angles and the matches I get are of people with or without glasses and faces at the same angle as mine, so unless there's something distinctive about holding your head at a 23° angle or being seen from that angle, its utility seems rather limited. Although apparently I look a bit like Richard Ayoade and Martin Freeman, and I can see that, gender presentation notwithstanding. No, the title might be "Halfbakery Member Approximate Visage Yearbook". Did a little test. I clicked the example guy with the "Use This Photo" caption and his closest match was Chris Parnell, the comedian from SNL. I then put Cirs Parnell's picture into the search engine and it came up with the exact same picture, but the number was only 80%. Hmm. But then I tried Kathy Bates the actress and they came up with a different picture of her rating the match 100%. I've just tried it with my original higher-res mugshot, and it sits there, twirling away to itself and doesn't resolve. I think I broke it. OK I finally got it to work. Apparently I look a bit (46%) like Jeffrey Katzenberg, CEO of DreamWorks Animation. He has less hair but whiter teeth than me, but it's a better match I think. Loris, I got a "Referral Denied" when I clicked the Katzenberg link. ^ just hit return on the url again so there is no referer i.e. previous page. Here is how such endeavors can take place objectively and scientifically. 1. Google image your name. For example doctor-remulac returns an assortment of images that probably look more or less like doctor_remulac. 2. Use an image merge function to merge the faces, obtaining the average. I think a custom merge function would be good. Image recognition sorting out the mug shot type faces you want from faces in profiles, pictures of sea cucumbers, powerpoint graphs and so on. Also current merge programs want 2 faces; this needs to be customized to use many. Hilary Clinton could use one all on her own, then. Question; using a merge programme for faces, would (A + B) + C look the same as (A + C) + B, &&|| A + (B + C) ? It's not simple arithmetic addition, but it should be easy to test. My cat said, that I look like a budgie. If you're just averaging points, and the first two are a separate operation to the next, then the third face would have a higher weighting. Yes, but that depends on how the programme weights the first two inputs. If it uses centroiding rather than simple averaging - which would be reasonable - then the bias would converge on the median. Rather disappointingly, I turned out to look exactly like me. Presumably you'd want to start with a power-of-two cardinality, then pair them up as if they were competing at tennis. This is not completely dissimilar to the 'Eigenface' approach to automated facial recognition (see link), but using celebrity faces as the eigenfaces. Oh c'mon! I look nothing like James Lipton, but if it helps me fill my celebrity autograph book I might be able to fake it for a few episodes.